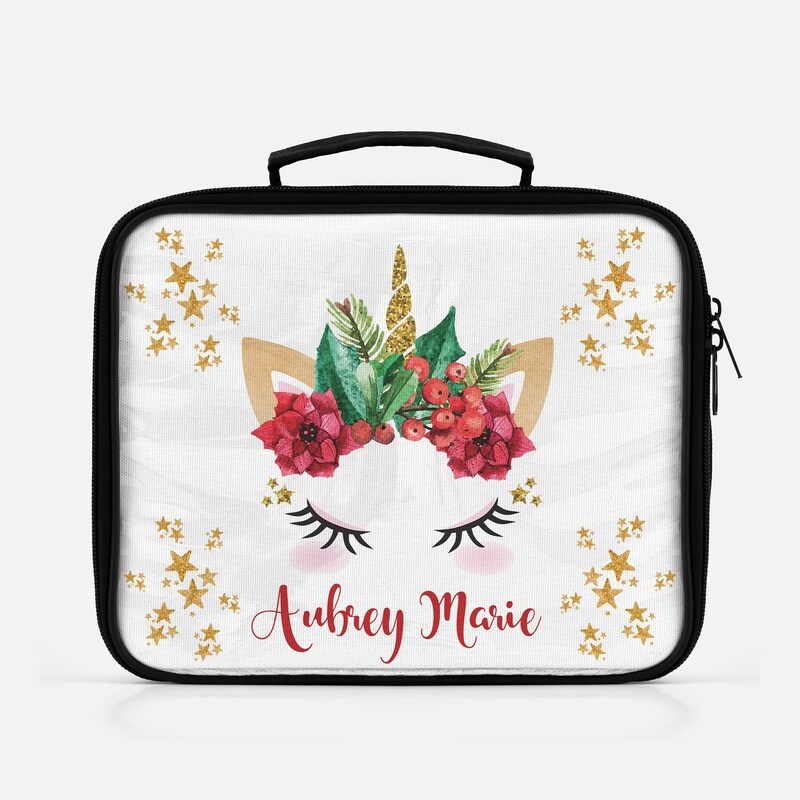 Make school fun with our gold and red unicorn lunch bag. These personalized lunch boxes are a great gift idea for back to school, birthdays or Christmas. Each lunch box is professionally printed by our print partner in the USA and can be personalized with the name or wording of your choice. Designed to be used with a bento style lunch box, this tote will keep everything cool on those hot days.